Argentina and Uruguay November 2-6, 2015: This study tour showcased several real-life efforts that NGP participants are making to provide inclusive development while respecting and improving environmental values and services at landscape level on both sides of the Uruguay River. As the border between Argentina and Uruguay, the Uruguay River divides and connects the two countries. Building bridges. Resolving conflict and restoring trust. Shared risks and shared responsibilities, shared values and shared value. Getting along with the neighbours. These ideas are at the heart of the NGP platform. And this study tour looked at common issues shared by the plantation industry in the two countries. In Uruguay and Argentina, plantations are located within biodiversity-rich grasslands, where people traditionally farm cattle. The main plantation companies have been working to conserve and restore these important ecosystems, and to increase opportunities for rural communities. This study tour showcased several real-life efforts that NGP participants are making to provide inclusive development while respecting and improving environmental values and services at landscape level on both sides of the Uruguay River. Participants had their perceptions challenged as they took part in field visits, practical activities and dynamic discussions. The tour was organized by WWF’s sister organization Vida Silvestre Argentina together with the forest companies Masisa and UPM. On the Sunday night before the study tour begins, there are crowds on the streets, noise, shouting and occasional bursts of gunfire. Was there a connection to our arrival, or to last week’s general elections, which had been inconclusive and required a second vote? Thankfully none of the above, but rather celebrations for Boca Juniors soccer team, who had just won the Argentinean league. Day one of any study tour is about establishing the basics, reconnecting with friends and colleagues from around the world and meeting new participants. We’re about 40 people, from plantation and forest product companies and NGOs that work with them. There are 10 nationalities including most South American countries, as well as Finland, the Netherlands and China. 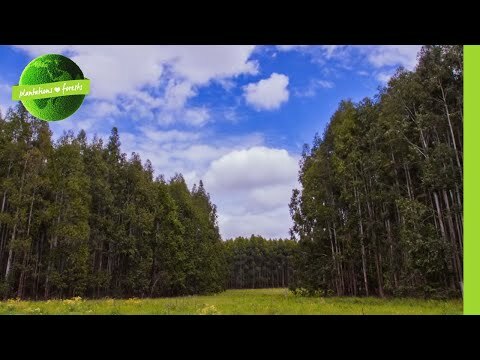 Mirta Larrieu, Director of Forestry in Argentina’s Department of Agriculture, Livestock and Fisheries, gives us a rapid introduction to forestry in the country. There are 33.2 million hectares of native forests and 1.1 million hectares of planted forests, of which 879,000 are managed as productive plantations. While these plantations make up only 2.5% of the total forest area, they produce 96.8% of the timber. The government wants to see plantations expand, but uses satellite monitoring to ensure this doesn’t result in damage to the natural forest. Cecilia Alocoreza, from WWF-Chile, reminds us that demand for forest products is set to triple by 2050, as outlined in chapter 4 of WWF’s Living Forests Report. To meet this demand without severely impacting our already threatened natural forests will need a significant expansion of the plantation area. In South America, plantations are projected to expand from 16 million hectares today to 27 million by 2050. It’s not a question of whether we need plantations – it’s about where and how we develop them. Much of the expansion is likely to happen in grasslands, which are the focus of this study tour. 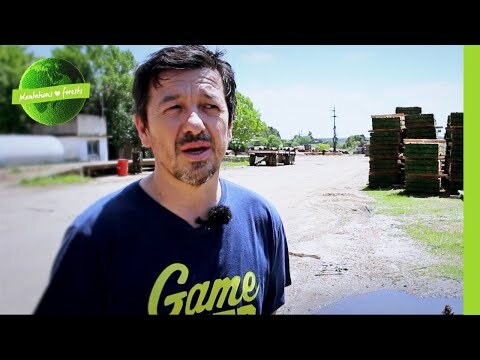 Vida Silvestre, WWF’s sister organization in Argentina, is working with plantation companies in this area: Diego Moreno explains how their thinking has developed. It’s not simply about protecting a percentage of grasslands, but rather understanding which grasslands are most valuable and why, and protecting these key areas. · Contributing to economic growth and development. The companies hosting the study tour – Arauco, Masisa and UPM – each give presentations highlighting how their plantation operations relate to these core principles. Examples include working with local cattle farmers and beekeepers to improve their livelihoods, to setting up a network of well-managed nature reserves. While the participants in this room have a good knowledge of the issues around plantations, it’s worth remembering that many people have very negative perceptions of plantations (often for good reason). People struggle to make the connection between plantations, forests and our use and consumption of paper and timber products. Public concerns around plantations are apparent in the public meeting held in the afternoon. Around 60 people join the study tour group for a panel discussion, including government representatives, NGOs and other civil society organizations. Points raised include a request for clarity that plantations are different from forests, a concern about waste and recycling, and a challenge for paper companies to do more to reduce the demand for paper. There remain concerns that expanding plantations will have an impact on natural forests. In many cases this is true, although in Uruguay the area of native woodland has actually increased as the plantation industry has developed over the last 20 years. It’s important to listen to, understand and respect different points of view, particularly when they challenge our thinking. Otherwise, it’s impossible to learn and improve – which is the whole purpose of a study tour. An NGP study tour isn’t just about attending meetings and listening to presentations. All the participants are expected to engage, and to really collaborate to develop new ideas and ways of working. The visits are a framework for these wider discussions, and are designed to stimulate the dialogue that’s essential if we are move to forwards. So how do you encourage 40 people to work together, to move from being strangers to collaborators? How to build trust between NGOs and plantation companies and to start to develop shared ideas about sustainable plantations? One of the techniques we often use is active listening – you simply pair up with someone you don’t know and talk for five minutes about yourself and why you are on the trip. Sounds easy? Well, the other person isn’t allowed to interrupt, but simply needs to listen, really listen. Five minutes can feel like a long time in a one-way conversation, but it changes the dynamic – and that’s the whole point. A six-hour bus trip from Buenos Aires to Concordia is a perfect venue for some active listening and to help the group to bond. We also try a role-playing exercise, where NGOs became forest companies and vice versa, with a few of us pretending to be cattle ranchers. It’s a great opportunity to demonstrate our understanding of each other’s perspectives and to air concerns about “alien plantations”, “unrealistic environmentalists”, or about cattle ranchers losing their traditional pastures. We visit the Ayui Grande Reserve, one of nine protected areas owned by Masisa. The Argentinian government wants to preserve 20% of all its ecosystems for biodiversity and environmental reasons – but with 90% of land privately owned, this can only be achieved through co-operation. Masisa manages its protected areas in conjunction with an environmental NGO, the Foundation for Habitat and Development. Gustavo Aparico of the Foundation tells us that it took many years to build the trust between the two organizations, and emphasizes the importance of building relationships between individuals, not just focusing on high-level agreements. He says he gradually realized that the ecologists in the Foundation and the foresters had a lot in common, with many shared interests, often both studying environmental issues and sharing a love of working in nature. Over time this trust has developed and allowed the relationship to flourish, so that both understand each other’s perspectives, even if they don’t agree on everything. There are also common challenges, which have further strengthened the relationship. Uncontrolled burning and alien invasive shrub species can be a threat to both grasslands and plantations, and feral pigs are a major issue in the reserve areas and for neighbouring land owners. These common challenges became a focus for cooperation between the Foundation and Masisa. They also built bridges with neighbours, leading eventually to the development of large-scale habitat corridors, creating buffer zones around the company’s reserve areas and connecting with government nature reserves. These landscape-scale agreements are only possible when there is trust and a strong relationship between all the individuals involved. Like any group of people, or friends, not everyone agrees on everything – but with a little trust and willingness to work together towards common objectives, we can achieve significant improvements. This understanding seems deeply rooted in Concordia. It was originally a citrus-growing area, and there are still large areas of orange bushes. The citrus farmers realized that they needed boxes to transport their products, and started planting trees to provide the timber. Small sawmills became established to produce these boxes, so a relationship developed between farmers, foresters and the mills. There are lots of small sawmills in Argentina – some 80 work around Masisa’s 40,000 hectares of plantations. Masisa, which primarily makes composite board material from fibre and chip rather than solid wood, has a close relationship with these small sawmills. They sell their timber to the mills; the mills cut out the high-value material that’s suitable for uses like construction, flooring and pallets; then they sell the sawdust, woodchips and offcuts back to Masisa. By working with a large company, the sawmills have increased their safety practices and overall professionalism. Both sides need each other, and benefit from the relationship – so creating shared value. Shared value is a key concept for NGP – but it can only be created out of a relationship of trust and understanding. Building that trust and understanding is fundamental to the success of NGP in general and the study tour weeks in particular. Working together on hands-on, practical tasks is one way to help accomplish this. Today’s activities include planting native palm trees (plantation companies have been helping to restore areas of native palm savannah on both sides of the Uruguay river) and pruning eucalyptus trees to improve timber quality. Someone told me that life is what happens when you are busy doing other things. Often to get different individuals and organizations to work together, we simply need a catalyst, a common issue to work towards – and when we are busy working on that, great things start to happen. On a study tour, field visits, activities and role play can be that catalyst, triggering the real important discussions, ideas and relationship-building. In a grassland ecosystem, the catalyst could be dealing with feral pigs, alien invasive species, or fires: that might lead to developing a joint management plan, but the real value is in fostering and building greater understanding. And who knows where that might lead? Yesterday we touched on the concept of creating shared value – “generating economic value in a way that also produces value for society by addressing its challenges”. We’ll see more of this today during visits to a pine plantation at Los Yuqueries and a board mill in Concordia, both owned by Masisa. Fernando Dalla Tea, our host at the plantation, explains how much forestry has changed in the last 20 years. Harvesting used to be carried out by manual workers with chainsaws; now it’s almost completely mechanized, with skilled operators working harvesting machines worth half a million dollars each. Instead of focusing on two products – low-grade construction timber and pulp – a wide range of value-added products is produced in a complex supply web. Masisa itself has moved from employing a large number of people directly in the forest to working with contractors: the company has contracts with 16 firms, employing 350 individuals. This brings a lot of challenges – not least in safety. Serious accidents are just the tip of the iceberg – look under the water and you may find numerous near misses and poor behaviour. Masisa has worked closely with contractors to promote safety through improvements in management, behavior and culture, and there have been zero accidents in its forestry operations in Argentina in the last 12 months. Safety doesn’t just apply to workers in the forest. To reduce potential impacts on communities from timber haulage, Masisa has invested in training and developing routes that avoid communities and especially schools. Training is often shared with the local community: for example, local volunteer fire fighters are invited to company training on fires. There’s a clear mutual benefit to this, as well-trained local fire fighters will reduce the risk of fires spreading to Masisa’s plantations. If Masisa is to develop and grow as a company, it needs its contractors to do the same. To this end, it’s developed a system called Fundes, which includes a monthly assessment against a range of criteria including legal compliance, and environmental and safety issues and performance. These are important values for Masisa – creating shared values can help create shared value. The Fundes system isn’t just about monitoring and control, but about getting feedback from contractors and helping them develop their skills and capacities. We hear from two contractors who’ve been involved in the programme, who say the supportive environment has helped improve areas of their business and reduce staff turnover. What’s clear is that what is good for the contractors is also good for Masisa. The company is reliant on a good contractor base to harvest its timber. There’s strong employment in the local area, with many people employed in the citrus and blueberry industry, so forestry needs to be seen as an attractive option. Our next stop is the Masisa mill in Concordia, which produces MDF and Melamine covered board from forestry “co-products” – 40% woodchip, 40% sawdust and 20% residues. Masisa is the only company in the area using these materials, which used to be burnt or wasted. The company’s sales and distribution model is interesting. Masisa has a chain of DIY stores across South America, where they sell and promote their board products. These stores are also venues for training and development for the carpenters who purchase their products. As with their harvesting contractors, Masisa sees this network of carpenters as essential to the growth and development of the company. They run a loyalty programme which has 31,000 members, and last year ran over 50 training courses, covering issues like financial management as well as how to assemble and use the board material. The stores have strong connections with local technical colleges to develop the training. The Masisa stores are clearly the company’s “shop window”, and a great way for people to learn about the company and its values. They also take people from the stores to visit the plantations to understand the whole supply chain. At the end of the mill visit, the group is asked to think about Masisa’s approach to shared value, what the company does well and what it could do better. We split into smaller groups, and everyone writes their thoughts and suggestions on a flip chart. It’s exciting to see a diverse international group, representing a range of NGOs and even competitive companies, working on a key business area for Masisa. This sort of activity is what makes NGP special – it’s not just a simple show and tell, but requires active participation and draws on the international knowledge and skills of a unique group of experts. Juan Morellis, who is responsible for Masisia’s forestry operations in Argentina, promises he’ll take all the suggestions and produce a report by next week. Today has given us an insight into the forestry supply web (a much more complex, interconnected system than a simple chain) and how to create shared value (and values) through that web. Too often plantation forestry is – or is perceived to be – an isolated industry with limited connection to local communities and wider society. Here in Concordia, it’s clear that Masisa is very much part of, and dependent upon, local communities and local businesses – from forestry contractors to carpenters, and the people who buy board products to use in their homes. Perhaps more companies should acknowledge and communicate this symbiosis and these shared values. Arriving in Paysandú is very special for me. I worked with UPM’s sustainability team for several years and lived here for three months in 2011. It’s great to catch up with old friends and to see how the town had changed since I last visited in early 2013. Paysandú sits on the bank of the Uruguay River, which divides (and unites…) Uruguay and its much larger neighbour Argentina to the west. Crossing any border is always symbolic. Sometimes there’s a change in language, often a change in culture and usually currency. While Paysandú certainly feels different to our last stop in Concordia, the language is the same and we can even spend our Argentinian pesos easily. There are common environmental issues as well with the palm savannahs and grassland ecosystems occurring on both sides of the river. I first came here to learn about eucalyptus and sustainable plantation issues. For many people, “sustainable plantations” is an oxymoron – the perception is of blanket monocultures of alien species. People don’t make the connection between the regimented rows of trees and the paper products we use every day or the chipboard cupboards in our kitchens. NGP study tours are a great place to challenge perceptions. I confess that, before this trip, I’d considered grasslands to be rather plain places of limited biodiversity value. That perception will be called into question this afternoon. Perceptions are hugely important when starting a dialogue about any issue; perceptions are neither right nor wrong, but need to be acknowledged and recognized. Simply telling someone that his or her perceptions are wrong is rarely a good way to start a discussion or to build understanding. Thursday morning starts with Gregorio and Hector, two cattle farmers who work with UPM, describing their changing perceptions of plantations. When large-scale plantations first arrived in Uruguay, they were perceived negatively by many cattle farmers. Farmers were worried about the change to the landscape and the threat not to just to the availability of grazing land but also to their culture. However, over the last 25 years that perception has changed through personal experience, particularly because of direct relationships with the forestry companies. Almost a third of UPM’s productive area is rented from farmers; in addition, there is cattle grazing both in the plantations and in the 60,000 hectares of natural grassland that UPM sets aside. In total, about 480 farmers graze 70,000 cattle on UPM-managed land – that’s a lot of prime Uruguayan steak. There’s another factor in the relationship between cattle farmers and foresters, and that is fire. Ungrazed grasslands quickly build a large biomass of very flammable material, and in Uruguay’s dry summers this can easily catch fire and threaten the forestry plantations. Fire is a natural part of any grassland ecosystem and is important to help create a mosaic of habitats, but too much burning too intensively creates problems. Foresters are more than happy to have cattle grazing any grassland near the plantations to reduce the risk of fire. The cattle farmers will also visit their animals most days and play an essential role in checking for fire and any other problems. It’s another great example of shared value. UPM has a reduced fire risk, gains an income from grazing rentals and has increased its production area by enabling farmers to plant eucalyptus on their land. The farmers have access to good, affordable grazing, with the trees providing shelter for the cattle, and can earn an extra income from selling timber. Our discussions take place in the shade of a group of about 50 majestic English oak trees – I wonder where the acorns were collected and who planted them all those years ago? Seeing oaks as an exotic species is an odd experience for Europeans like me – but then, they are no more exotic than the Herford and Aberdeen Angus cattle which have defined so much Argentinian and Uruguay culture for the last 150 years. That cultural element shapes our perception of so much land use – and our resistance to new land uses (like plantations) is often in part because we perceive it as a threat to that culture. 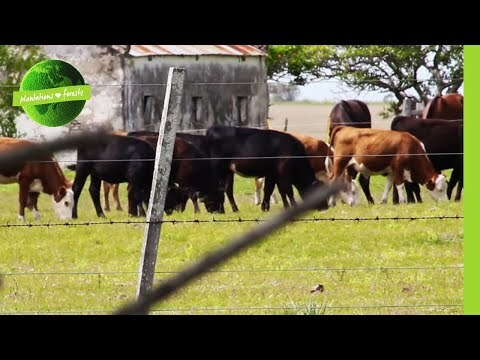 From beef to birds… for our second stop of the day, we visit a project where UPM is working with local NGO Aves Uruguay to investigate how to optimize grassland management for the capuchino bird. Nine species of this seed-eating bird nest in Uruguayan grasslands, of which four are endangered. The bird needs grasses about a metre tall in order to build its nests, and needs the grasses to progress through to seeding – which is unusual in grazed areas. The project is investigating how to create a mosaic of grass heights which optimize habitat for the birds without posing a fire risk to the plantations. The project quickly attracted two breeding pairs of capuchinos. Cattle are re-introduced into the fields in the autumn once the birds have travelled north to Brazil to overwinter. The project is due to run for five years; the next stage is to engage neighbouring farmers and extend the project area. (You can read more on the PlantNation website). The final stop of the day was at El Retiro – an amazing scrubby grassland looking out across the Queguay River and an extensive area of natural forest. The grassland has been ungrazed for several years to allow endangered herbaceous plants to re-establish. Cattle have recently been reintroduced to manage some of the encroaching scrub. Ivan Grela from UPM explains how diverse grasslands can be, and that herbaceous plants are actually the most abundant species. We’re told that the best grasslands in Uruguay can have around 300 plant species per hectare – more than some tropical forests. Some of the foresters in the group are rather sceptical of this… but our perceptions are overturned as we undertake a survey of species to determine the impact of the re-introduced cattle. We’re divided into a number of small groups and given a 10m2 plot each. Most of us aren’t plant identification experts, so we simply collect a sample of each species we can find and divide them into grasses, herbaceous plants and shrubs. In 30 minutes , each of the seven groups has collected over 70 species, with the record being 23 species of grasses and 75 herbaceous species. I don’t think anyone who’s taken part will ever look on grasslands as low value again. Today has been about perceptions and perspectives and values. I grew up in North Wales, where most of the trees were cleared before the first Europeans had even set foot in Uruguay. I tend to look at the landscape and wonder what it would be like without the sheep, cattle or deer, and what tree species would establish. The vast grasslands of South America are very different – they are complex ecosystems, reliant on patterns of burning and grazing to maintain a rich variety of plant and animal species. When we look at any landscape we do so through our own lenses of experience; and this affects our perception of their value. This perception isn’t wrong or right, but simply reflects our knowledge and understanding. But problems come when we make decisions about the management of these landscapes without fully understanding their history, cultural significance or diversity. If we change or impact an established landscape without that understanding, we shouldn’t be surprised when conflicts arise. I wake early on Friday morning to put the finishing touches to a presentation and to prepare a slideshow of images from the week to display during the coffee breaks today. It’s always fascinating to sort through the photos and see how the expressions on people’s faces have changed over the week, and also the level of interaction. At the start of the week in the Argentinian government offices in Buenos Aires, there are not many people smiling, and people are generally in groups by country, company or sector. But quickly these groups become much more diverse, faces look more relaxed (if tired) as the week goes by. Reminding people of the week’s activities is also important, for everyone to see the level of cooperation and empathy, which makes the NGP study tours so special. Friday is an indoor day in Paysandu, finishing after lunch with most of us returning to Buenos Aires and flights home. The first presentation of the day is from Gonzales of the Uruguayan environmental NGO Vida Silvestre. Gonzalo begins by reminding us of the importance of natural grassland ecosystems in Uruguay. Although they still represent about 60% of the land area, some 800,000 hectares have been lost since 2000 – and much larger areas are being degraded through overgrazing. Natural grasslands account for 13% of the land in South America but internationally are the least protected biome, with only 1% of this area under an official ecological regulation. Vida Silvestre have been working with UPM in Uruguay for a number of years, helping them with land-use planning and monitoring and managing natural reserves on company land. The two organizations have a simple but strategic approach to conservation planning, using the widely recognized Open Standards for the Practice of Conservation. It’s a circular process, which enables them to develop “adaptive management” for the natural reserve areas. All sites are first surveyed, important habitats identified, and management plans are developed and implemented; then the sites are monitored for change and re-surveyed, and the management adjusted if necessary. Vida Silvestre are working with a number of other large land managers, with the aim of creating large, interconnected corridors of reserve areas which will ultimately link with official protected areas. It’s interesting that Vida Silvestre work and interact with people throughout the company, not just the environmental team. This means that everyone understands the importance of environmental concerns and that they are properly embedded in the management processes. In conjunction with UPM’s land-planning department, Vida Silvestre are developing an online tool to help land-use planning decisions, and to identify and reduce land-use conflicts. The tool looks at a number of aspects, including protected areas, soil types and local climate. It helps identify priority areas for the main land-use types – natural and improved grasslands, arable land, forestry plantations and biodiversity areas. It will be interesting to see how the tool develops and how it can be used to optimize land use, when the pressure for agricultural and forestry intensification increases. The next presentation is from Ivan Grela of UPM, who has been our main host and coordinator over the last two days. 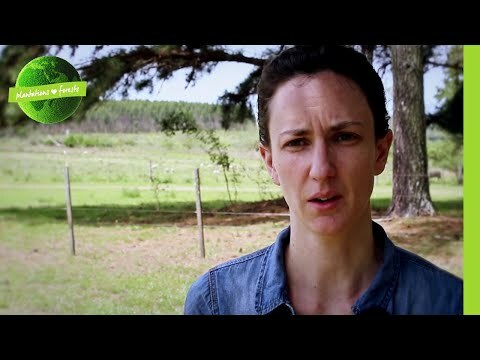 The focus is on restoring plantations to grazing – a key concern for many farmers. UPM has been studying six project sites, all of which have been plantations for at least 10 years. The sites are surveyed for ground cover before and after the trees are harvested, and then monitored for several years. As quickly as five months after harvesting, the sites are starting to green up with some grasses and other pioneer species. Eucalyptus branches are small and light, and they break down relatively quickly. The stumps take a little longer – usually about 10 years – but as there is no need for mechanical soil preparation this doesn’t seem to matter. Cattle grazing had a significant impact on species development, but most sites quickly had over 40 grass and herbaceous species within a few years. The final group exercise was designed to help the core NGP team to further develop our PlantNation website – an online space where the issues around plantations can be discussed and shared. The idea is to recreate the enthusiasm of an NGP study tour and extend it as widely as possible. The website has existed for about nine months and has just been redesigned. We’ve already been quite successful with a lot of retweets and other social media interaction, but we want to take things to the next level. We split into groups to think about what we could improve and how. It’s fascinating to share what had only been a rough idea 12 months ago and to get this valuable international feedback. Within an hour we have several pages of notes and a Top 5 list of new ideas, chosen by a jury. Anyone can use PlantNation – www.newgenerationplantations.net. If you’ve found this blog interesting, then you are our target audience – please log in and join our online community. After a final lunch, we say our goodbyes to our amazing Uruguayan hosts and climb back aboard the bus to travel the short distance to the border crossing and onwards to Argentina. Driving south through Argentina towards Buenos Aires, it’s good to reflect on how quickly 40 people from 12 countries were able to work together and begin to understand a wide range of issues. I’m reminded that trying to reach a definitive answer for many social and environmental challenges is not what’s important. It’s how we work together, to develop a greater understanding and trust, that’s really essential. In the face of climate change, biodiversity loss and globally shifting demands for plantation products, any definitive answer will quickly need revising anyway. Arthur C Clarke once said that the future is already here, it’s just unevenly distributed. Perhaps we already know the solutions to many of our global problems, and we simply need to build the connections and trust to share that knowledge and understanding. A huge thank you to everyone from Masisa and UPM who hosted us so well; and to the stakeholders who spoke openly with us. The WWF team who I’ve been privileged to work with are incredible, and kept the energy high all week despite some very long days – Luis, Elena, Pablo, David and Brent – thank you, it’s been a lot of fun. And finally to Barney in the UK and Anna in Finland who have converted some very rough notes into something readable and got it published on the website: thank you! Please visit PLANTNATION where you can learn more about plantations, and will soon to be able to see a range of videos and interviews from the week.